IRELAND’S TAOISEACH-IN-WAITING, Enda Kenny, has vowed not to keep the Irish people in the dark about our banking situation. In an interview with Richard Crowley for RTE Television, the Mayo TD – who was elected this evening with 17,472 first preference votes, the highest number recorded so far -said he hadn’t ruled out leading a single party government. Fine Gael could still win 82 seats – but it would need a lot of luck on its side. Kenny also described today’s events as a “democratic revolution…they didn’t take to the streets but they’ve wreaked vengeance on those who let them down”. The incoming government is not going to leave our people in the dark …Paddy likes to know what the story is. Ireland is open for business. We want to restore our reputation and our pride and make people understand this little country will be seen to be the best in the world by 2016. Kenny added in a later interview with RTE Radio 1 that this was the “ultimate challenge of politics” and that he would rebuild the country like he rebuilt his party after the disastrous 2002 general election. He added the negotiations on a possible coalition would be carried out quickly in the best interests of the country. Email “"Paddy likes to know what the story is" - Ireland's Taoiseach-in-waiting promises to tell the truth”. 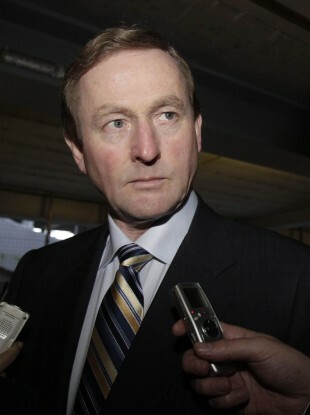 Feedback on “"Paddy likes to know what the story is" - Ireland's Taoiseach-in-waiting promises to tell the truth”.